Snow and freezing temperatures can’t keep us away! The woodpeckers are calling! It is hard to believe that two weeks have passed since we launched two of the three 2014 Intermountain Bird Observatory woodpecker projects. Since the launch we have completed surveys in three separate ranger districts within two national forests. We have snowshoed in the dark, hiked through the mud, fought off the first mosquitos and ticks of the season, and counted dozens of woodpeckers. We have so far encountered six of the ten woodpecker species which frequent the forests of Idaho, all in our quest to evaluate the status of these important “indicator” species. The week of April 7th, I kicked off the project with the Boise National Forest surveying for Pileated and White-headed Woodpeckers. The team performing most of our surveys in eastern Idaho joined me in the Boise National Forest for some team building and general woodpecker survey training. The focus of the project is on Pileated and White-headed Woodpeckers, but the forest service is interested in all woodpecker species. We also note all other bird species in the area. Woodpecker surveys begin 30 minutes before sunrise, so we usually camp as close as possible to the survey location. We traveled to the first survey and found 90 inches of snow with the parking area flooded in mud. We retreated back down the road to find an acceptable camping location. The next morning we strapped on our snowshoes and headed up the trail toward Sunset Peak (from Mores Creek Summit on highway 21). The air was clear, cold, calm, and beautiful. While we didn’t find Pileated or White-headed Woodpeckers, there were plenty of Hairy Woodpeckers, Northern Flickers, and a huge number of Williamson’s Sapsuckers. We also found one Black-backed Woodpecker hanging out in a non-burned area. They typically prefer burned habitat. It was a great start to the season! View from our final point of the day on the side of Sunset Peak looking south, Boise National Forest. The following days took us to the Placerville area for two surveys there. Still no Pileated or White-headed Woodpeckers, but we added Red-naped Sapsuckers to the list of woodpecker species detected. The valley was beautiful, ringing with the sound of newly returned Sandhill Cranes. We will continue surveying in the Boise National Forest in a couple of weeks. 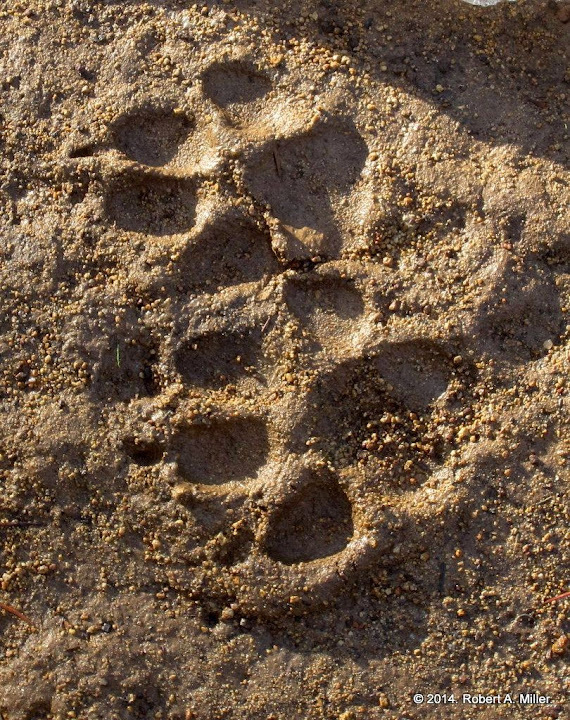 Fieldwork often presents surprises such as same-day wolf prints. I love this part of the job! The second week brought the launch of our new Targhee National Forest woodpecker project. We hired a dedicated team for eastern Idaho, Maddy and Michelle, but I traveled over to train them on the project and to get first hand experience with the new protocol that I designed. In the Targhee we are surveying for eight species of woodpeckers – Downy Woodpecker, Hairy Woodpecker, Red-naped Sapsucker, Williamson’s Sapsucker, American Three-toed Woodpecker, Black-backed Woodpecker, Lewis’ Woodpecker, and Northern Flicker. IBO’s Team Targhee – Maddy and Michelle previewing the route the day before the first survey. We were welcomed to eastern Idaho by snow, and lots of it. Most of our higher elevation survey locations remain locked up by snow, but we were still able to get a full week of surveys in. View from near our first survey point. Photo taken later in the day as it was still dark upon our arrival at 6:15am. Mixed aspen and conifer, a great habitat for woodpeckers. The protocol we are using in eastern Idaho is one that we at Intermountain Bird Observatory developed, leveraging from a number of other projects. It uses a grid design with four survey points spaced 500 meters apart. At each point we have a 22-minute protocol! – six minutes of silent listening followed by two minutes of call broadcast/listening for each of eight species. It is fairly intense as the team needs to track each bird’s response each minute for the entire survey period. This can be particularly challenging when the birds move in response to the broadcasts. On our first day we had seven birds responding at one point and eight at another. It was valuable for me to be there and witness the complexity as it will help me as I later analyze and interpret the data. Another great survey point – eight woodpeckers from four species at one point! After a couple of days as a team, I set off on my own to complete a survey. The team must work in pairs in grizzly bear habitat, but can work solo in non-grizzly habitat. 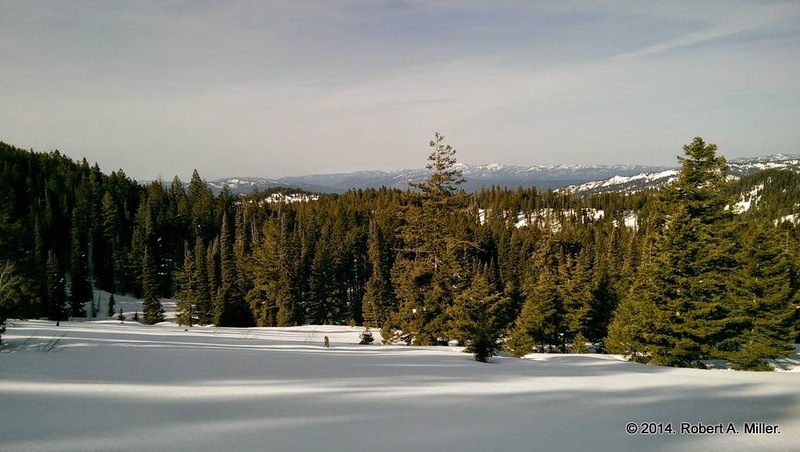 While Maddy and Michelle stayed in the Palisades area, I traveled to the far west portion of the Targhee National Forest, northwest of Idaho Falls, to help the team make progress toward our goal of completing 35 surveys this season. This is an area without grizzly bears so I worked alone. View from my beautiful survey location. The forest here was much drier in general. It was beautiful, but I was not a big fan of the rock and scree fields I had to cross in the dark. Or the ticks! The forest diversity and the woodpecker diversity was a bit lower here with many Northern Flickers and a single Hairy Woodpecker making up the only detected woodpecker species. But it was a good survey. Michelle and Maddy checked in from their first day without me. They took on a steep backpack into the mountains to complete a survey. One of the points was located on a steep avalanche danger slope, so they stopped short on the ridge. They definitely had the most scenic survey of the year so far! Here are some of their photos. Wow! Michelle with a nice view from the ridge. Maddy taking notes on observations. More than just woodpeckers out there! I was jealous I missed this one! Next week, I return to the Boise National Forest and our quest for Pileated and White-headed Woodpeckers. I look forward to the first detections of the year for both species. Maddy and Michelle will likely finish up in the Palisades area and move north to Driggs. It’s a great time of year to be in the forest!